Military spouses can suffer from PTSD, too. Find out how you can get the right therapy service to treat this problem. Post-traumatic stress disorder or PTSD is a common phrase that military families know all too well. This is very common among service men and women who are exposed to traumatic events. Following their tour of duty, they would still feel the impact of the events that they went through. But while there is more awareness being raised for PTSD in the military, there should also be the same effort for the spouses. They, too, experience the same ordeal that military personnel go through, but in a different form. Find out how military dependents mental health therapy in Colorado Springs can benefit them. Spousal support is important to the success of a marriage. As a military spouse, the meaning of this is taken to another level. This also explains why spouses can often experience the same ordeal as their military husbands or wives, even when they stay at home. Listening to the experiences of their partner while on duty can also affect the spouse. In some cases, seeing the devastating effect (such as injury) of military combat or constant worry that your partner could get injured can cause trauma. The constant fear and worry about the safety of your loved ones can escalate into a traumatic experience. 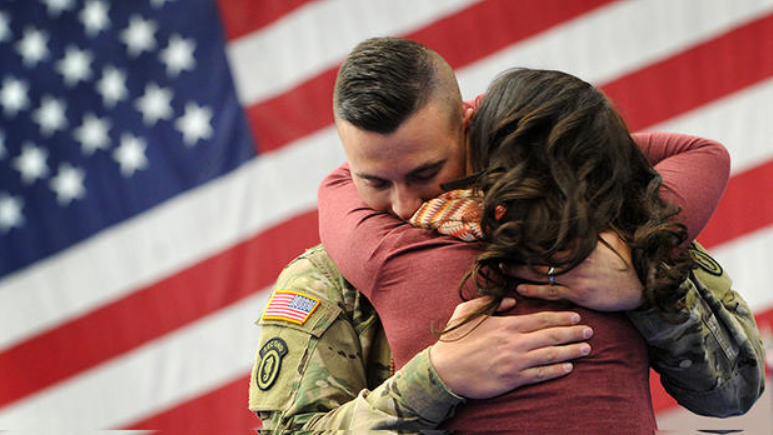 While it is important to focus on mental health services for military veterans in Colorado, the well-being of spouses should not be disregarded. Look for the early signs. The sooner you can address issues of PTSD in military spouses, the sooner they can get treated for it. PTSD does not easily go away, and its effects on one’s everyday life can be devastating. If your spouse has exhibited a heightened sense of fear or anxiety, or they try to avoid people or certain activities, they might have PTSD. Seek help right away. If you suspect anything unusual about the behavior of your spouse, professional interference at the earliest stage can be very helpful. Do not let it interfere with work, health, and family life. Find an expert therapist who deals specifically with military families. It is important that the therapist you work with is experienced in helping military families because it requires a unique approach. They can also provide a specialized treatment program to help military families cope. Where to Find Military Dependents Mental Health Therapy in Colorado Springs? Your search for military veterans behavioral health services Colorado springs company has come to an end. At Family Care Center, you can rely on our expertise and experience to address family behavioral problems. In the case of military families, we are proud to be named as the premier behavioral health treatment center in the Colorado Springs area. We offer behavioral health therapy for military veterans in Colorado and their families. If you are ready to get started on your therapy, you can fill out the forms on our website (for new patients). This is one way we can smooth out the process of handling patient care. You can also check out the different types of therapy services that we offer, such as Veterans Services and family counseling. As a company built by veterans, Family Care Center is committed to giving back to the community. This is one of the ways in which we can provide support to military families in the Colorado Springs area. Feel free to call us at (719) 540-2100 for your inquiries.